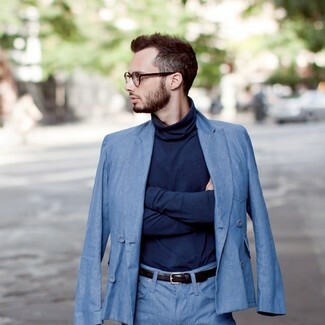 For a nothing less than incredibly stylish ensemble, marry a Fay lightweight turtleneck sweater with light blue dress pants. 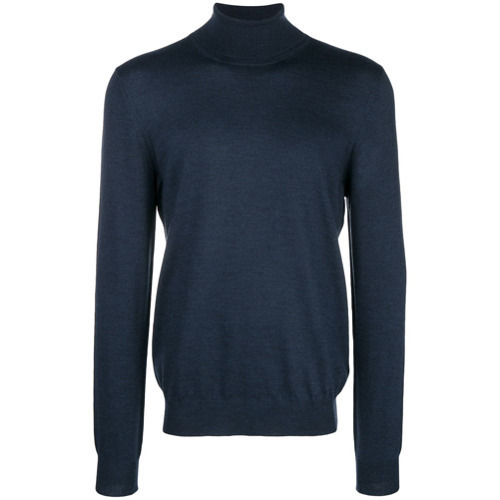 If you're on the lookout for a casual yet stylish look, rock a navy turtleneck with blue jeans. Both items are totally comfortable and will look great paired together. 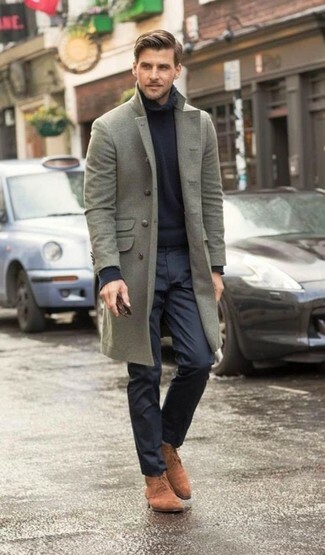 When it comes to footwear, this look is round off wonderfully with white polka dot low top sneakers. 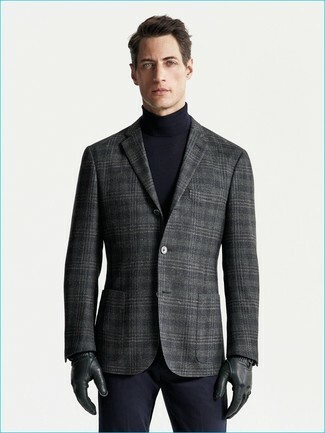 For a nothing less than incredibly stylish ensemble, try pairing a Fay lightweight turtleneck sweater with charcoal dress pants. 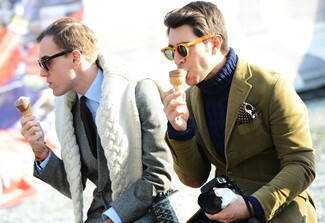 For something more on the daring side to complete this getup, opt for a pair of black suede desert boots. 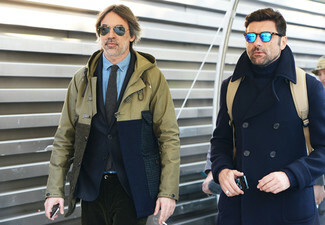 Contrary to what you might believe, looking on-trend doesn't take that much a work setting. 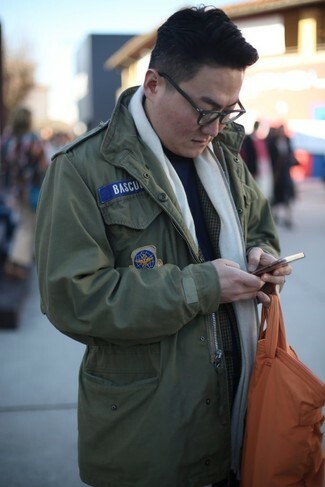 Just wear a Fay lightweight turtleneck sweater and a navy pea coat and you'll look wonderful. 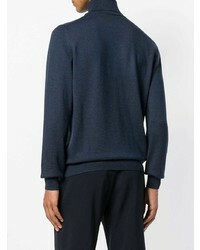 Team a Fay lightweight turtleneck sweater with navy dress pants to ooze class and sophistication. 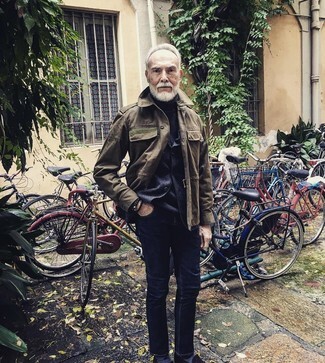 Throw in a pair of brown suede desert boots to make the getup current. Contrary to what you might believe, being a dapper dude doesn't take that much work. 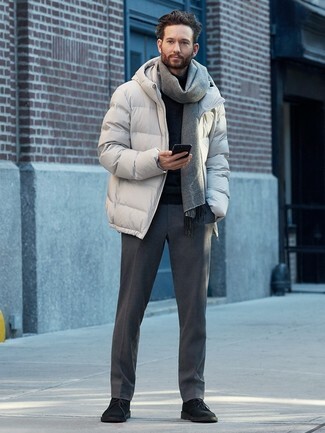 Just consider teaming a Fay lightweight turtleneck sweater from farfetch.com with an olive military jacket and you'll look incredibly stylish. For a smart casual getup, pair a Fay lightweight turtleneck sweater with an olive blazer — these two pieces a work setting perfectly well together. 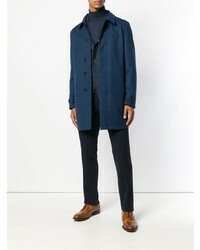 Team a Fay lightweight turtleneck sweater with navy dress pants like a true gent. 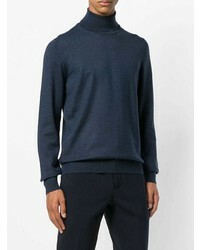 On days when comfort is key, consider teaming a Fay navy turtleneck with black ripped skinny jeans. 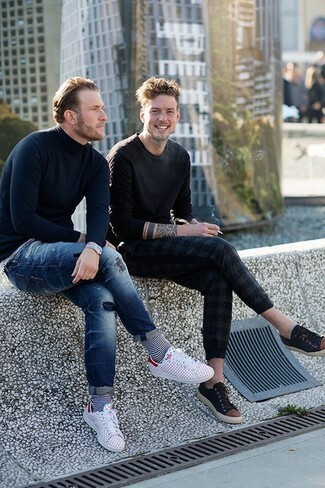 To bring out a sophisticated side of you, add a pair of black suede loafers to the mix.